It’s something of a consolation to know that I was one of the first people to publish Carol Ann Duffy. And Janice Galloway. And Jill Dawson. It was 1986 and I had dutifully signed up to the Enterprise Allowance Scheme, making merry with my £40 a week, and started my own business. Margaret Thatcher – had I cared what she thought about me, which I most certainly didn’t - would have been proud. I was being a good girl, after all. Or perhaps not. For my business wasn’t hairdressing or photography. It wasn’t secretarial services or catering. It was publishing. And feminist publishing at that. The story I told the newspapers when they featured me as a bright young thing, was that standing in the newsagents one day I had noticed there was a dearth of magazines containing creative writing by women and so I’d decided to set one up myself. It wasn’t that far from the truth, actually, although my interest in women’s literature and writing went back much further than that. I’d studied it, I’d written myself and I was a woman, for God’s sake. In 1986. Sorry to keep banging on about the year but for those not around at that time, it’s hard to explain what a political cauldron it was then. Margaret Thatcher was in power. The scars of the miner’s strike had yet to heal. Wapping. Westland. The GLC. You get the picture. For people of a certain age those words can still make the hairs on the back of their neck rise. But the most important thing to realise was that with such a strong ideological Tory government (‘the lady’s not for turning,’ remember that? ), the sub-culture – if that’s what you want to call it – was under attack. But, by God, it was fighting back. In some ways, it’s never been stronger. Whatever you were – working class, gay, female, pacifist, communist – there was an organisation for you. And the idea that we don’t need to fight for those things now, that these times are ‘post-feminist’ is ridiculous. You only have to have half an eye on what’s happening to women and minorities to know that. But I digress. Let’s return to those heady, feisty days of the eighties when you wore a white poppy on Remembrance Day and a UB40 t-shirt every other day. So yes, I’d signed up to be my own boss and by doing so had triggered a whole raft of organisations to descend upon me with business training, offers of funding, mentoring etc etc. Some were a joy to work with. The Prince’s Trust, still a great organisation, understood immediately what the point of the magazine was, helped me draw up a business plan and offered financial support. It was not so easy with the others. Most were run by middle-aged men in suits who frankly didn’t know anything about publishing, less about feminism and sweet FA about creative writing. It wasn’t their fault but neither was it much help. Made worse when my business plan and financial forecasts didn’t fit into the usual groove. Nevertheless we ploughed on. By now it was a ‘we’, thanks to my wonderful friend, Louise Stewart. Together we determined to make our magazine, Aurora, a reality. It’s all a bit hazy but I’m sure it took at least a year to get Aurora off the ground. There was no shortage of publicity, both local (I was in Liverpool at the time and the Merseyside media were generous in their coverage) and national (Radio 4’s Woman’s Hour, no less). Contributions of writing flooded in. Our little PO Box was overflowing with literary goodies. And we had subscribers too. Not masses of them but enough to know that we had indeed found a gap in the market. Yes, there was Virago, and yes, there was the Womens’ Press. Both brilliant. But what we were offering was something more easily digestible than a book or novel, a magazine full of short stories, poetry, interviews with women writers. Edited by women (myself and Louise), designed by women (well, that never happened but we did try) and with illustrations by women (no problem there, we had illustrators, brilliant illustrators, queuing up). And what we produced wasn’t half bad. The first issue had contributions from Anne Born, Jill Dawson, Janice Galloway and Carol Ann Duffy and we launched it with the help of chain-smoking genius Beryl Bainbridge, Heidi Thomas (now a BBC screenwriter famous for Call The Midwife among others) and Liverpool poet, Gladys Mary Coles. So, I hear you say, with all that clout, why wasn’t it a success? Why, you might ask, aren’t I reading it now? Good questions. Answered in one word: Distribution. Or, two, if you’ll allow: lousy distribution. Or three: bloody dreadful distribution. Am I making myself clear? There’s no other way of saying it but the distributors of Aurora just couldn’t be arsed. They had massive circulation periodicals on their books and we were small fry to them. A large proportion of the magazines we sent them – the magazines we’d slaved to put together, to raise money for etc - never even left their warehouse, let alone made it to the hallowed shelves of WH Smith. In fact, when we folded, which we sadly did because of non-existent cash flow due to poor distribution, the distributor even had the cheek to ask us to come and collect the piles of Auroras festering in the warehouse. What’s the point of having great publicity if you can’t buy the product? It wouldn’t matter these days of course. You could download it, order it online, print it out and wear it as a hat. But in those deep and dark days of Duran Duran and Derek Hatton (1986 remember? ), it was WH Smith or broke. And we were the latter. Literally. Creditors did indeed turn up on my doorstep, though they were sent away with a flea in their ear by my debt counsellor. But even he couldn’t wipe out what I owed. I paid it off at a measly amount a week, finally clearing it in my early thirties. Living with debt is miserable and demoralising. I could write a whole other blog about that but it would be even more depressing. Am I proud of Aurora? Apart from the odd typo, yes. Would I do it again? Not in the 1980s, but today, yes, yes, yes. There’s still so much to say about womens’ writing, so much to admire and so very many brilliant women writers out there desperate to be published. Mslexia has beaten me to it but maybe, just perhaps maybe, Aurora helped pave the way. And for that – and for being one of the first to publish Carol Ann Duffy in 1986, did I mention that? – I am very proud. I called the magazine ‘Aurora’ after Elizabeth Barrett Browning’s groundbreaking novel/poem ‘Aurora Leigh’. But Aurora also means dawn or dawning. And yes, I think it was. Leigh Chambers studied English Language and Literature at Liverpool University. After the demise of Aurora she moved to London to study journalism at City University before working as a freelance journalist for several years. She then worked as a communications manager in the voluntary sector. 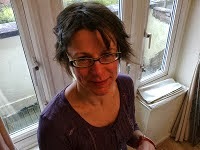 In 2010 she received an MA in Creative Writing at Anglia Ruskin University, and currently coordinates a writing group (www.angleswriting.com), presents a fortnightly show on books and writing on Cambridge 105FM (www.cambridge105.fm/shows/book-night) and works as a humanist celebrant, conducting non-religious baby namings and weddings. As promised, here is more of Sarah Poulton’s advice for budding journalists. On Wednesday we gave Sarah’s dos and today we give you her don'ts. 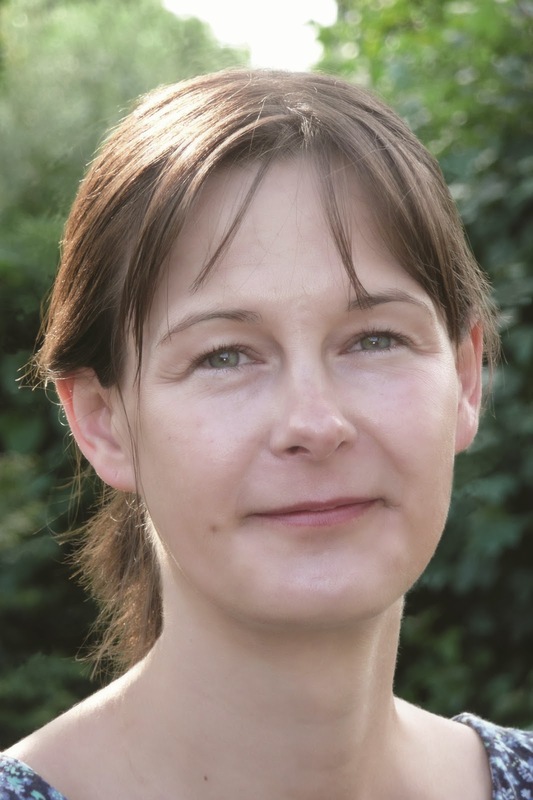 Sarah has worked for mainstream magazine publishers such as IPC Media, National Magazine Co and BBC Magazines and, most recently, the Telegraph, where she was deputy editor of Special Reports. Don't underestimate the importance of structure. It will help to make your piece clear and readable. That said, don't be afraid of experimenting. There are many ways to structure a feature and if everything is chronological it gets boring. Don't complicate unnecessarily. Make sure your piece has an introduction that hooks the reader and keep your language simple, active and specific. Let paragraphs suggest each other, link them unobtrusively and include an ending. Don't assume your editor knows what she wants. If you are commissioned to write a piece, try to get the editor to spell out what s/he has in mind and make suggestions if you think it would strengthen the feature. Once you've submitted it, be prepared to re-write or add to your copy at no extra cost. Don't badger an editor if you submit ideas and they don't get back to you. Wait at least a week then email or call to remind them about your submission and that you exist. Sometimes, editors commission the first appropriate person whose name pops into their head. Don't wait until you've submitted a feature to inform your commissioning editor why it doesn't work. Get in touch as soon as you identify a problem. Your editor WON'T thank you if she has to publish something there wasn't time to replace. Don't expect to earn a lot, particularly when you're starting out. Even once you've become an established contributor word rates may be slashed. That doesn't mean you shouldn't stand up for yourself if you genuinely feel you're worth more than is being offered. Just be aware: you may lose the goodwill of your editor and scupper your chances of working for that publication again. Don't assume journalism is just for the young. Freelance contributors come in all shapes and sizes. And life experience is invaluable if you're a writer. Don't be precious. You can't afford to be. If a new editor offers you the chance to write for her but it's an advertorial rather than a full-fledged editorial feature, see it as an opportunity. She may be testing you out. And look on the bright side, advertorials tend to be better paid than your average feature for the work involved. Journalist Sarah Poulton, who spoke at Words And Women’s first membership event, has kindly provided us with a copy of her short talk about the Dos and Don’ts of Journalism. It’s great advice stemming from her experience of working on the inside as an editor and on the outside as a freelance writer for print and online publications. Today we post her To Dos and on Saturday we will post her Don’ts. Thanks Sarah! Do your research. It sounds obvious but before you pitch anything to anyone read recent back issues of the publication you're interested in writing for CLOSELY. What are the gaps? Who is your audience? And remember, two or three well-thought out ideas is generally better than a fistful of suggestions you haven't had time to research. Do think laterally. For example, if you're interested in health, why not look at the latest research that's being published in relatively obscure US, Canadian, Australian and New Zealand science and social science journals. Is there anything that could be adapted to the UK? Do try to entice. Editors are extremely busy and they can receive tens if not hundreds of emails daily. Many of those may be urgent, yours won't. So think about how you might excite their curiosity. Do attach samples of your previous work. It will annoy an editor if she takes the time to read through your ideas and you haven't attached any published examples of your work. Do assume there are differences between writing for print and online publications. The latter tend to have shorter features, an emphasis on keywords and less scope for figurative language. Ask for guidance if you need it. Do make an effort to understand the culture of the publication, or organisation, for which you would like to work. The BBC isn't the same as The Daily Mail, nor is Marie Claire the same as Boots Parenting Club. All will have their unspoken rules, accepted office behaviour and established editorial lines. And it's wise to be familiar with the latter, at least. Do get as much professional exposure online and face to face, as you can. Use Facebook, Linked In, Twitter, your own blog, Wannebehacks.co.uk, press events, whatever works for you. Even if you're guest blogging for free or submitting unpaid-for features to relatively obscure online or print publications. You never know when one of these will bear fruit. However, do be aware that a vapid blog or inane Facebook commentary isn't a recommendation to use you. Do take time to develop a special interest or area of knowledge. Whether you've studied economics, or have an interest in ecology, a specialism could come in handy. Two members have written about our first membership event. Here's a short introduction to the event by Sarah Passingham, followed by Stars In My Eyes, a review by another Sarah - Sarah Tanburn. Many thanks to both! Months ago, Words And Women asked me if I could give a hand with the inaugural members’ event, signing up new members as they came through the door. I was promised cake! I always say yes to cake, but I really didn't need the bribe as I’d have jumped at the chance to help at another event, after the success of the fantastic readings and films in the Forum earlier this year. A good number of writers had signed up before Saturday, and it was great to see a small crowd of women and curious onlookers waiting for us to open the doors. With free refreshments on the bill, a buzz started immediately. And, looking around, it was clear that this first event had attracted a real patchwork of writers: some beginners, others aspiring and emerging (a description I particularly favour), to the more advanced, published writers. By the time it all kicked off - as so eloquently described by Sarah T below - about 30 members had gathered, mostly from the Norwich area, but one keen member having travelled all the way from Cambridge. Another first for me, was the venue itself. The Appleyard in Exchange Street, had given over their whole space to Words and Women, with a bright, airy upstairs room just perfect for some very informative and enjoyable talks; I hope we meet there again. And, of course, the cake (homemade by The Appleyard boys) was absolutely delicious! Me: writer new to Norwich, looking for congenial groups and opportunities to learn. Words and Women Norwich: supports and promotes women writers living and working in the East of England today. How excellent is that? I joined up and reserved Sunday afternoon in my unpacking schedule to go to the first members’ event, held just up the road from home. I have been to a lot of writers’ groups and events both online and in real life. They tend to have similar structures and too often you hear the same advice again and again. The joy of Sunday’s event was seeing a whole new level in breadth and professionalism. Lynne and Bel, the hard-working organisers, had created a varied line-up from five different writing worlds and straightforwardly asked these speakers to give us some ‘dos and dont’s’. No readings or sales pitches (though books were available if you chose to buy). Trezza Azzopardi is a novelist writing literary fiction, Jean Hogg a writer-director making films, Hayley Long a successful writer of books for young adults, Sarah Poulton an experienced journalist and Heidi Williamson an award-winning poet. Lynne Bryan chaired the contributions and questions really well too. There was loads of good advice on offer. Jean made the fascinating comment that she likes to write the scene and add the dialogue later. This insight from the world of screen writing seemed so strange to me, a prose writer, I asked her to say a little more. She explained that for her the heart of the story is in behavior, what the character does, not what the character says. The character should be speaking to convey something that cannot be shown through the lens, which maybe the tension between her words and actions. What a wonderful nugget to take away, far beyond the cliché of ‘showing not telling’. Sarah also talked about research in the very different context of journalism, both of the market for your work and the topic you want to cover. Look at previous editions, she told us, and submit two or three well-thought out ideas rather than ten half-baked proposals. Think laterally and find those offbeat approaches that will be relevant to the readers of that publication. Remember the differences between writing for the page and online: writing on the screen needs a stronger emphasis on keywords, shorter pieces and shorter sentences and less figurative prose. One group-member asked about the value of having specific space for women writers, and whether the speakers thought of themselves as ‘women writers’ or writers who happen to be women. Unsurprisingly most of the speakers described themselves as the second, but also pointed to the rarity of women in certain arenas, for example Heidi’s fascination with science. (She spent two years as writer-in-residence at the Science Museum. What a great gig.) They also reflected on the way women writers are written about, citing the cattiness aimed at Hilary Mantel. (This week’s extraordinary coverage of Eleanor Catton’s Man Booker win confirms the tendency.) For me, I want the airspace with women committed to honing their craft and finding an audience. I go to plenty of mixed groups, but it was a joy to be in a room with women writers taking themselves and each other seriously. In two weeks I am going to Heidi’s workshop on winning writing residencies, so that’s another benefit. I really enjoyed the afternoon, a fine introduction to other women writers in the city. See you at the next one. Sarah Tanburn is a short story writer and novelist. Her work has been published in several places including Ether Books, the national short story site, Snapshots of History and she has a contribution in the next edition of [wherever] magazine. Hayley was a speaker at our first membership event which took place in Norwich last Sunday and she has kindly given us the notes from her short talk about the Dos and Don’ts of writing for teenagers. 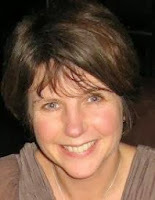 So here is some wonderful advice from the author of the Lottie Biggs novels and What’s Up With Jody Barton. 1. Do be prepared to write to a very tight specification. Children / teens / big publishers want more of the same. You'll find that big publishers may even demand it. So it can feel as though you're writing through the eye of a needle. But, unfortunately, writing exactly what you want and being published don't always go hand in hand! A one-off novel may become a series because that's what your publisher wants. Having said that: Don't underestimate how tricky this can be. Phrases like 'formulaic' and 'churning stuff out' suggest there is a magic easy formula for making money. If there is, more people would be 'churning' these books out, surely? As I said, you can follow a formula to write a pop song but it doesn't mean you'll have a good song at the end of it. Or you'll be able to keep on doing it. Writing 'formulaic' fiction is as much of a challenge as anything else. I think. 2. Do be prepared to receive very direct feedback from your readers. Teens will also discuss your book at length on blog sites. Don't be tempted to get involved and NEVER defend your book on the internet. Just stay quiet and stay away. If you write for children or teens, you will be expected to go into schools. This may involve a workshop with four gifted pupils or it may involve talking to 400 in a hall. You just have to get on with it. But you'll learn quickly and you'll know if you're boring because your audience will look at their phones / start putting mascara on / stick their hand up and tell you. On the other hand, you'll know if they love you because they'll buy EVERY book you've ever written / ask you to sign their arm / slap their own thighs because they're laughing so hard at what you're reading. This is nice. Speakers from left to right - Jean Hogg, Heidi Williamson, Sarah Poulton, Hayley Long, Trezza Azzopardi. Many thanks to our special guests – Trezza Azzopardi, Jean Hogg, Hayley Long, Sarah Poulton and Heidi Williamson – for giving great advice on the Dos and Don’ts of writing at our first membership meeting on Sunday. Many thanks too for everybody who turned up to share the experience despite the rain. Over the next couple of weeks we will post some of our speakers’ advice on this blog for those of you who weren’t able to make the event. Heidi read at our International Women’s Day event this year and has kindly agreed to speak about the dos and don’ts of writing poetry at our first members’ event which is due to take place in just over a week’s time! Heidi is currently poet-in-residence at the John Jarrold Printing Museum in Norwich. Her first collection, ‘Electric Shadow’ (Bloodaxe Books, 2011), was a Poetry Book Society Recommendation and was shortlisted for the 2012 Seamus Heaney Centre Prize for Poetry. If you’d like to hear Heidi and our other guests then join Words And Women and come along to our event at Appleyard & Co, Norwich, October 13th, 2-4pm. See our membership page for further details.